One of tiki’s greatest gifts to us has undoubtedly been exotica. This genre of music became wildly popular in the 50’s and 60’s, during tiki’s former glory days, brought on by tales from soldiers returning from World War II. Many tiki bars and events today still feature exotica, and even my own home tiki bar boasts a pretty sizable collection. At its peak, there were countless album covers featuring scantily-clad girls in bikinis, grass skirts, and leis, shooting seductive gazes at the camera. But what is important to note is that exotica was really only an interpretation of what people thought the islands sounded like, rather than what they actually sounded like. I mean, was it really plausible for Tahitian natives to have vibraphones lying around? Not likely! So, let’s say you are thinking about starting your very own exotica collection. You might ask yourself, “Where do I start?” There is quite a lot out there, but I have compiled some of my personal favorites for you, with a few I consider to be absolute essentials. 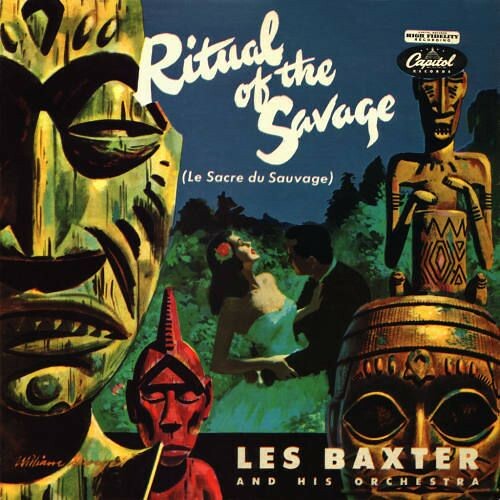 When it came to orchestral exotica, no one did it better (in my humble opinion)than the great Les Baxter, and Ritual Of The Savage is one of his finest works. The album combines tribal rhythms with lush arrangements featuring vocalizations, as well as a full orchestra. The end result is nothing short of grandiose. The music is so big, it could easily fill the largest of rooms. 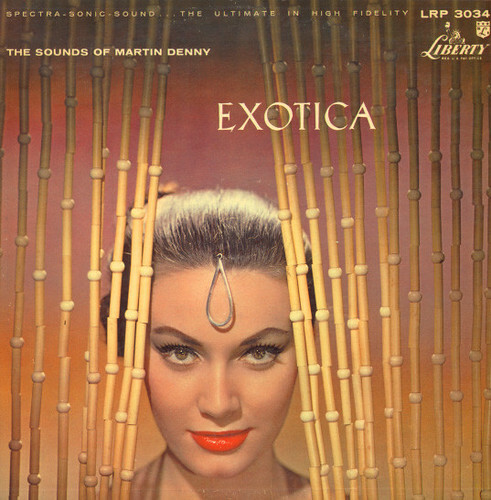 The gorgeous album cover, one of the most famous in all exotica, features tiki idols set against a scene featuring a reticent-looking raven-haired beauty in the arms of a man who seems intent on having her for his own. How saucy!! 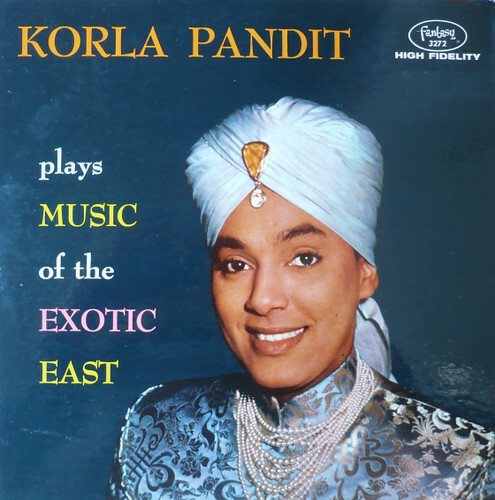 Often touted as the “Godfather Of Exotica”, Korla Pandit is truly something special. He was born an African American, and reinvented himself as an Indian in order to achieve the success that would have otherwise eluded him as a black man. It was an incredibly daring move, given the sociopolitical climate of the day. His story is so compelling, that a documentary was made about him recently. This album is Korla at his best – playing beautiful Eastern melodies, as well as percussion, all on a pipe organ – very innovative work for its time! It’s quite honestly almost trance-inducing. The music, while not Polynesian-inspired like so much other exotica out there, is nonetheless very exotic-sounding. Just try not to imagine yourself in the Far East while listening to this album. Korla’s Fantasy Records albums were never released on CD, but you can find this album here. Arthur Lyman, who was born in Hawaii, got his start with the renowned Martin Denny, playing at the Hawaiian Village Hotel in Honolulu. Eventually, Lyman broke off, formed his own group, and began releasing what would be a plethora of albums. Hawaiian Village is one of his earliest. This album is what I would want to listen to on a quiet night, as I sip on a Mai Tai to wind down. 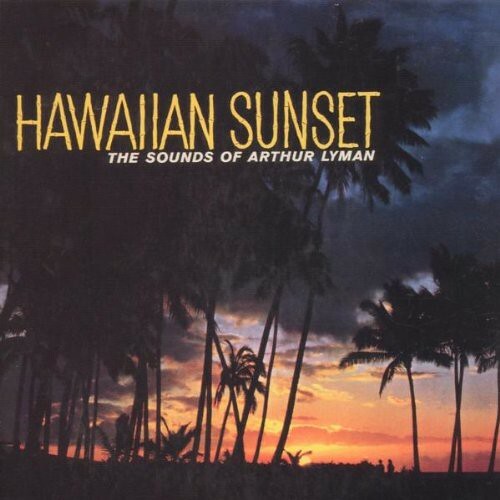 Lyman has a wonderfully delicate touch on the vibraphone, and the state-of-the-art acoustics in the auditorium of the Hawaiian Village where the album was recorded certainly helped capture the ethereal quality of the group as a whole. This album is likely the most popular and commercially successful exotica album of all time, reaching #1 on the Billboard charts the year it was released. The single “Quiet Village”, a cover of Les Baxter’s original, is its signature song. Exotica has an upbeat playfulness to it, thanks to the amazing array of Asian and Polynesian percussive instruments used. The vibes of Arthur Lyman can be heard on the original mono recording, but by the time the stereo version was recorded, he had moved on, and Julius Wechter took his place. This album also features plenty of the infamous “bird calls”, many of them done by Augie Colon, the bongo/conga player. This one should be in every exotica listener’s collection – it’s a masterpiece. So, what is a contemporary album doing on this list? 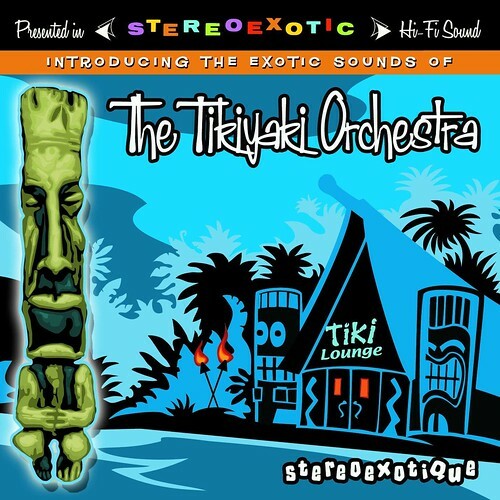 Well, dear readers, exotica hasn’t died – in fact, it has evolved, and the Tikiyaki Orchestra is a fantastic example of modern-day exotica at its best. I had this album on repeat all summer long last year as I anticipated my return to California for Tiki Caliente. It has everything I love about exotica, combined with elements of lounge and surf music. I could listen to it pretty much anywhere – through my headphones at work, walking on a treadmill, in my car, or of course, at a tiki bar. In fact, during a recent trip to Trader Sam’s, this album could be heard coming out of the speakers, which made me pretty happy. The sound is slinky, impossibly cool, and has a little touch of kookiness, thanks to the presence of -what else- bird calls! I love that little homage to old school exotica. I adore this album, and can’t wait to see them perform live someday. Hey, look! They have a website! Find this album here. Let’s hear from some of you! What are your favorite Exotica records/artists? Please share them with me!